A tweet posted this Monday (16) by the worldwide beer producer Heineken launched some good chaos in the Bitcoin ecosystem. The international brand, which currently has over 140 breweries in more than 70 countries and is sold pretty much everywhere, published this message on Twitter: “Our vision of the future? Drink real beer, pay with virtual money. (…) #Bitcoin #OpenYourWorld”. Although the company doesn’t intend to adopt Bitcoin for now, this is a positive sign and a huge endorsement for the famous cryptocurrency. 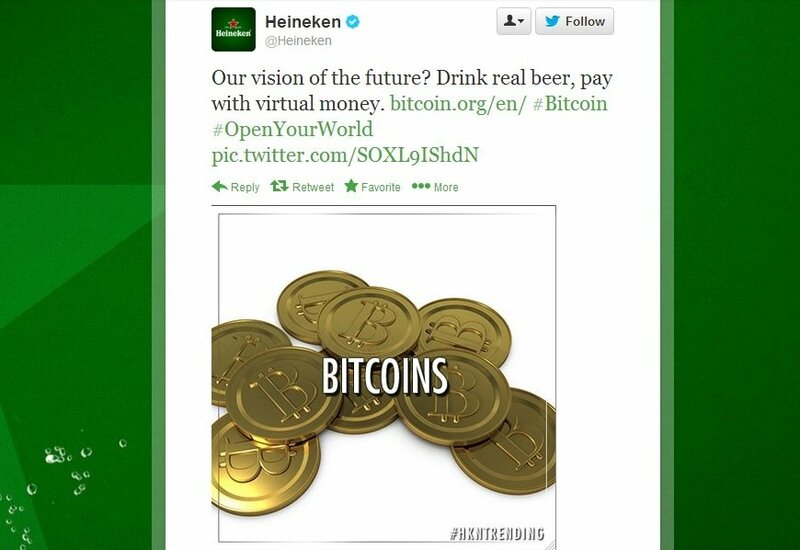 According to Heineken’s official Twitter account, the brand really likes the idea of accepting digital money and guarantees it “believes in the future”. Questioned about when could this change be announced, Heineken simply said that it’s “still on a journey to a destination unknown”, concluding with an advice: “watch this space”, while referring to the Twitter account. At least, this assures the fans that any major news will always be transmitted via the social networks. The company was clearly trying to measure the public’s response to such a possibility (it could also be just a marketing trick), but given the flow of comments and positive reactions, Heineken might consider accepting Bitcoin one day. “That is all a bit too coincidental for us”, the brand wrote on Twitter. 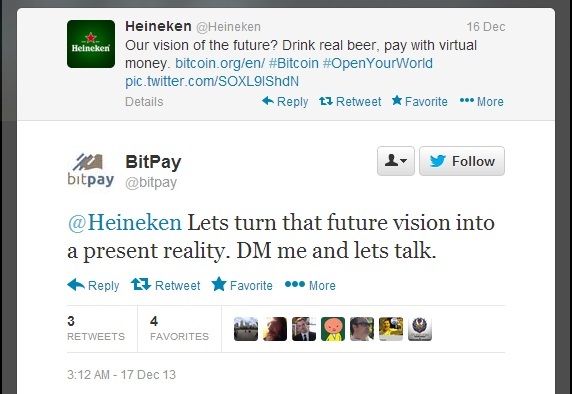 In the meantime, the platforms Coinbase and BitPay also answered to Heineken’s tweet, offering themselves to help the brand accept cryptocurrency. 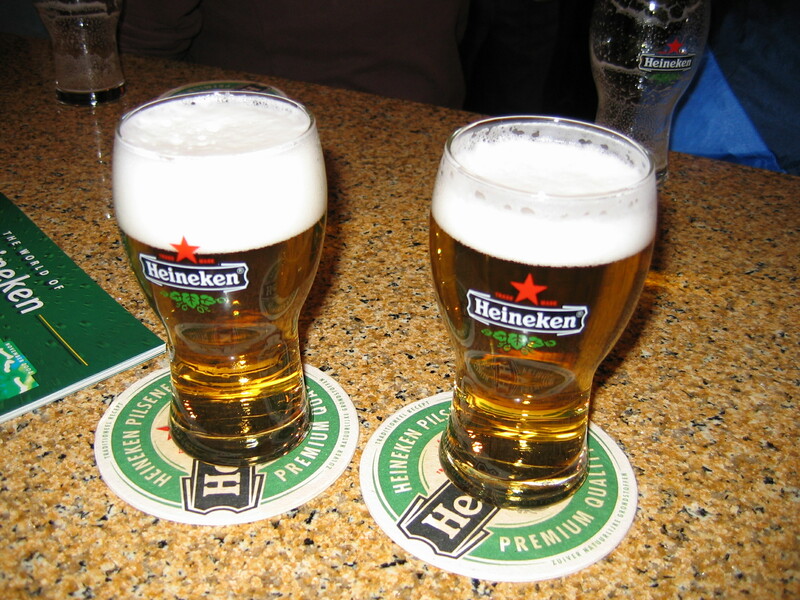 Heineken said it loved both companies’ spirit and wrote “we now know where to find you”. Founded in 1863 by Gerard Adriaan Heineken, in the city of Amsterdam, Heineken is currently one of the most consumed beers on the planet.